Complex litigation is a term used to describe a family of lawsuits that involve legal and factual matters that are much more difficult than ordinary lawsuits. Complex litigation often involves multiple related claims in a single lawsuit, multiple parties and/or difficult legal and factual issues. Complex litigation is more demanding then other forms of litigation and could involve significantly higher costs, quantity of information and evidence and duration of the legal proceedings. Complex litigation therefore requires the involvement of an experienced attorney who has handled the type of issues that complex litigation presents. Complex litigation can take the form of a variety of legal matters. Examples of complex litigation cases can include complicated business disputes, serious personal injury or death, professional malpractice, financial disputes, employment matters, mass torts, product liability, intellectual property disputes and class actions. It is crucial that parties involved in complex litigation obtain the representation of a knowledgeable and experienced complex litigation attorney. Attorneys that focus in other areas of the law may not possess the skills and experience necessary to handle complex litigation. When seeking a complex litigation attorney one should ensure that the potential attorney has specific experience in the area of the law in which the case is categorized. 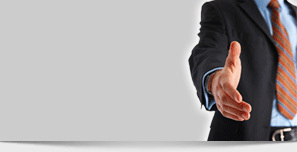 During the attorney selection process ask questions about the attorney’s experience and results. Selecting a complex litigation attorney with a proven record of relevant knowledge and experience significantly increases the likelihood of a positive outcome. Spooner Law has over 25 years of experience handling complex litigation matters. Spooner Law regularly represents individuals and businesses in complex litigation matters and knows how to manage these type of cases. Complex litigation may require more involvement from an attorney in order to maintain, organize and effectuate the handling of issues and the preparation of matters for hearings and trial. It is essential that parties involved in a complex litigation matter obtain the representation of such a knowledgeable and experienced litigation attorney.